Details about 1940's George Reach brand "Sam Chapman" baseball glove in great condition! 1940's George Reach brand "Sam Chapman" baseball glove in great condition! 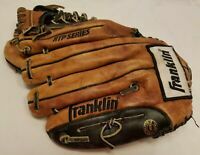 Mizuno GMVP1200PSEF4 MVP Prime SE Glove RHT Right Hand Throw 12"
Vintage Reach M1000 Super Monster Baseball Glove RHT Fast Free Shipping 12"